In this beautiful church which has the resemblance of Noah’s Ark in the sanctuary ceilings, throughout the year, there is a “Care and Concern” list in which anyone who needs prayer can request it because there are prayer warriors here. We also have a Food Cupboard, Wednesday evening Bible Study, Maundy Thursday Dinner, Vacation Bible School, Friday Night Outdoor Movies for families with kids, Thanksgiving Dinner, and just a whole lot of serving the community throughout the year as our good Lord instructs his people. What I have also realized in my church is that there are families who worship here in this neighborhood of Olney who once lived here 20 plus years ago. They no longer live here, and some of them drive 30-45 minutes to get here every Sunday to worship with us here in this community in which I have lived for the last 17 years. 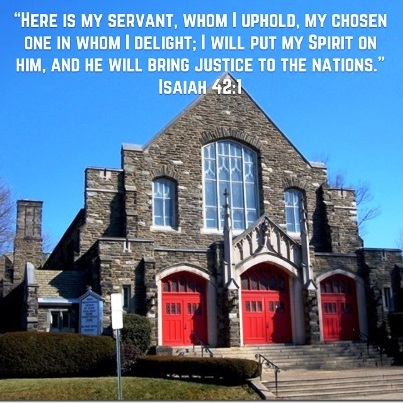 Some of my brothers and sisters in Jesus’ families have been doing God’s work in this area in North Philly for the last 60 years and doing exactly like Mary in John 12:3 when she washed Jesus’ feet with expensive perfume leading up to our Lord and Savior’s covenant to become our mediator and only way to the Father in Heaven as in Hebrews 9:14-15. For that reason, those who are called may receive the promised eternal inheritance now that Christ has died and risen.